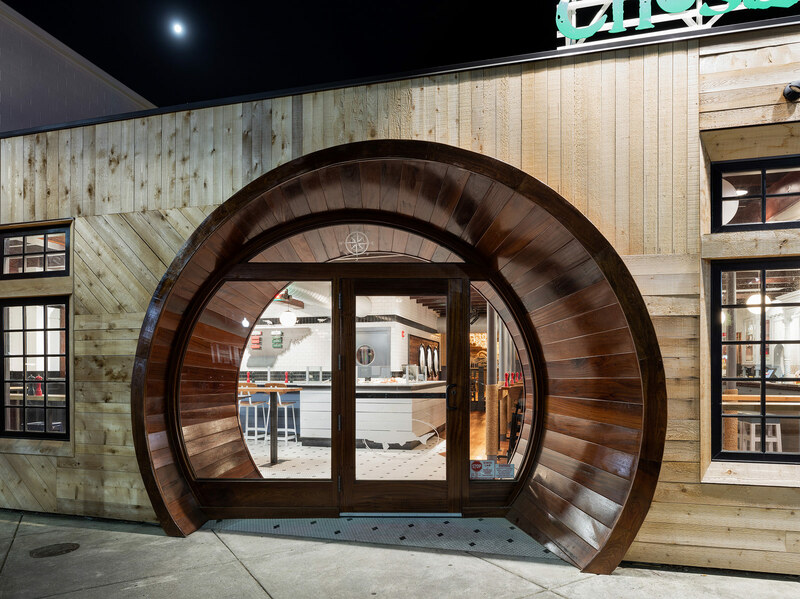 The owners of Dogfish Head Craft Brewery in southern Delaware are known for creating “off-centered ales” and, naturally, off-centered places to enjoy them. 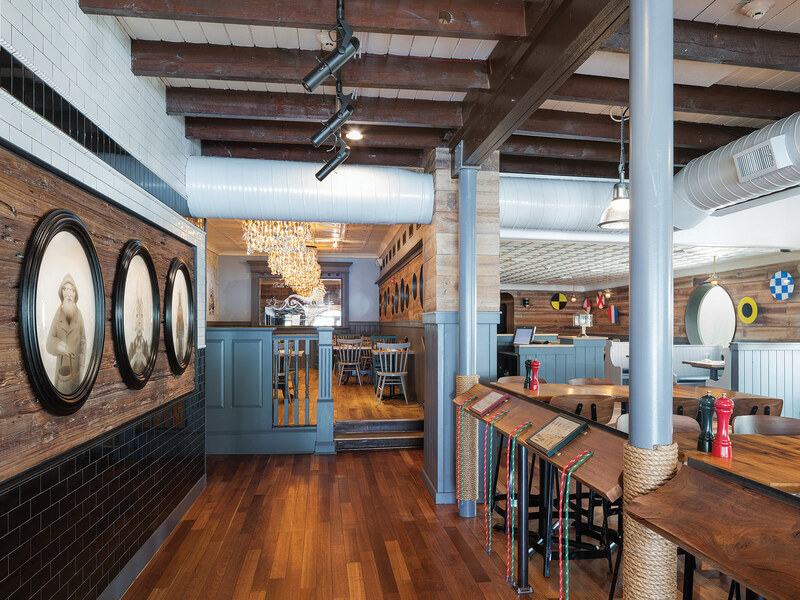 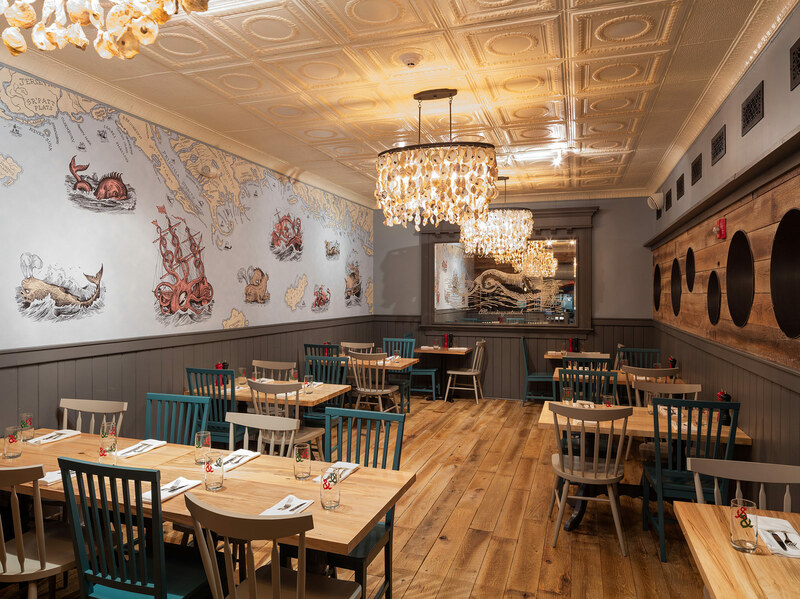 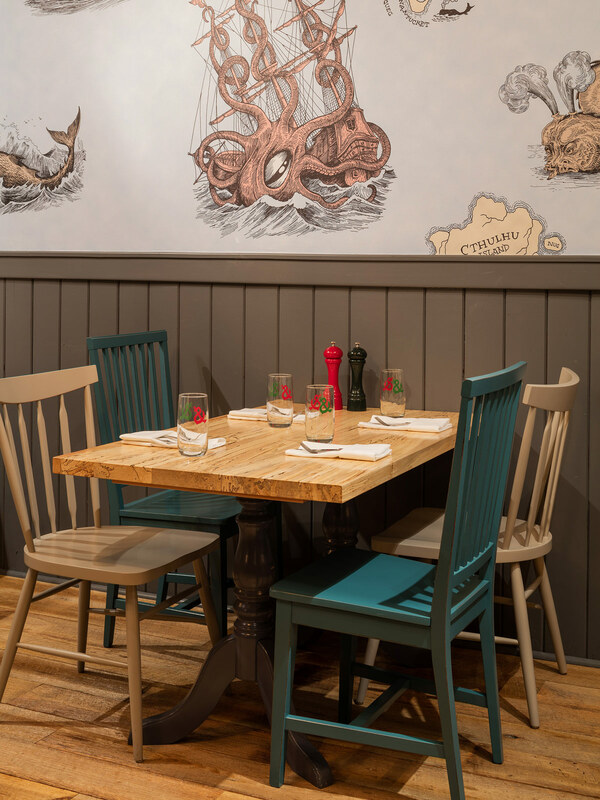 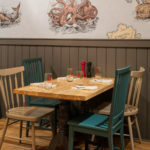 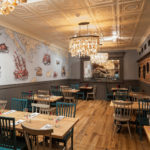 The newest offering is Chesapeake & Maine, a seafood restaurant in Rehoboth Beach, Delaware, that explores nautical themes without resorting to clichés. 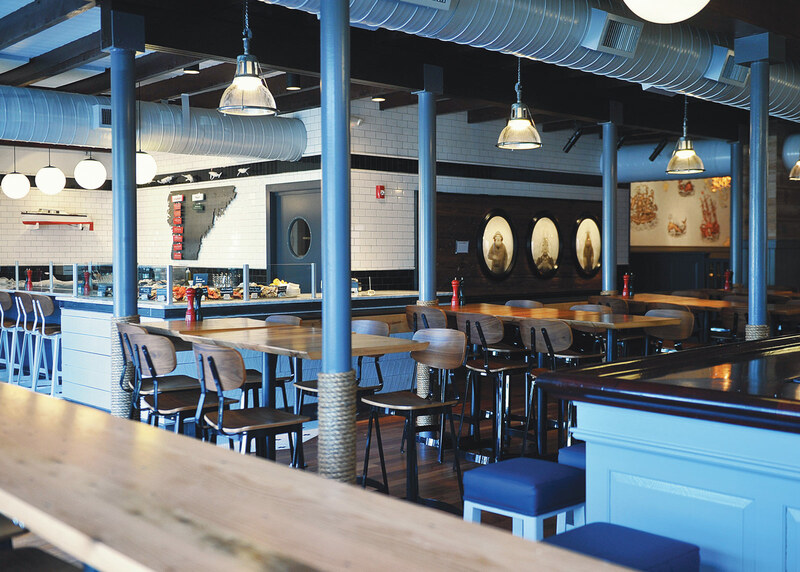 The 150-seat restaurant opened in March, next to the Dogfish Head Brewhouse. 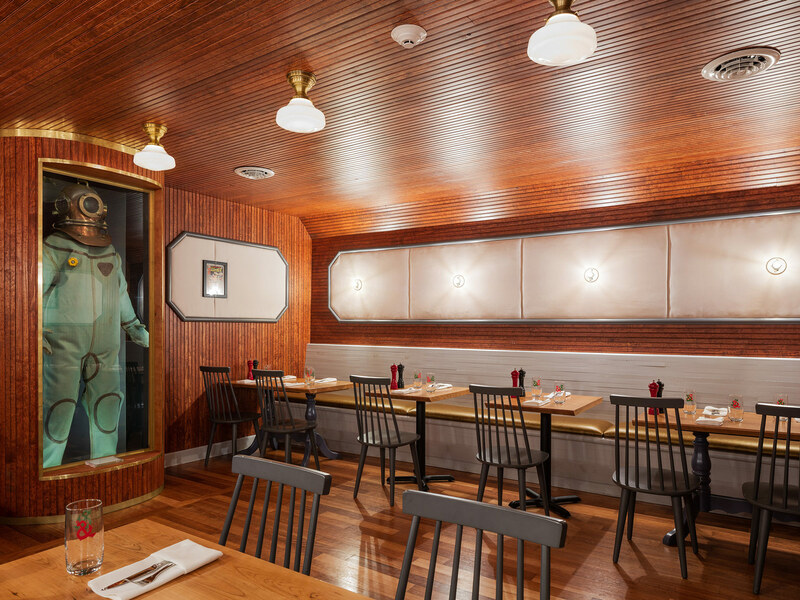 The architect for the exterior was DIGSAU of Philadelphia. 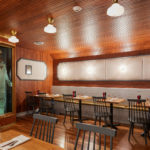 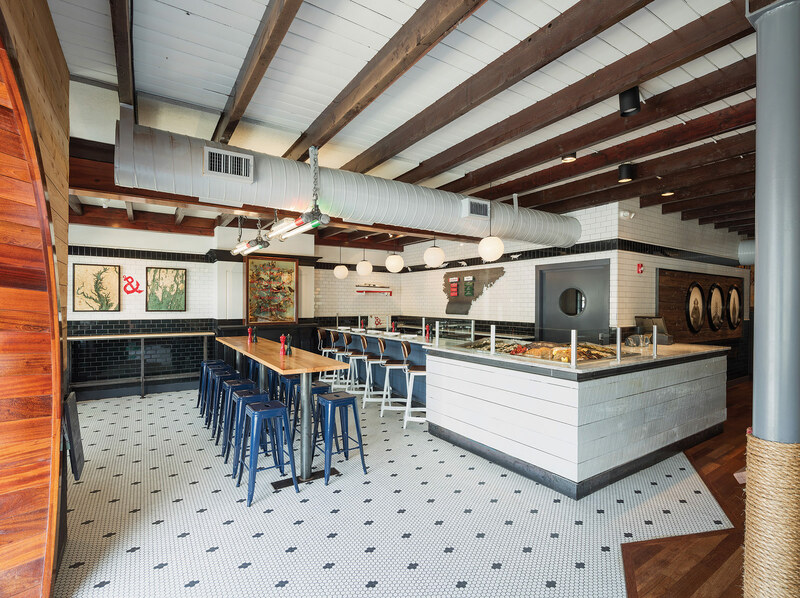 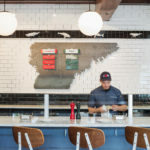 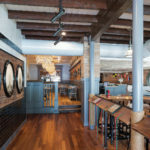 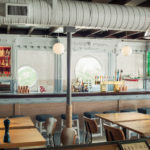 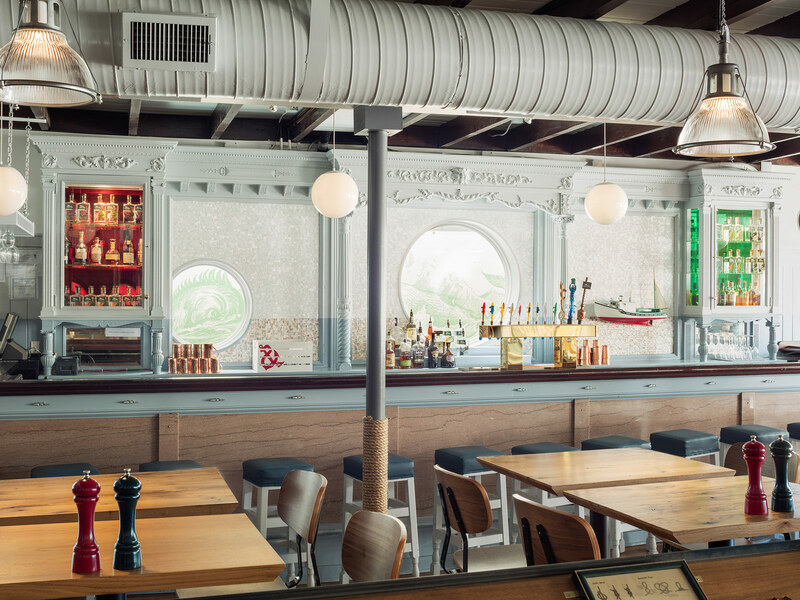 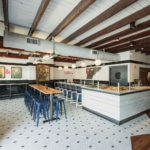 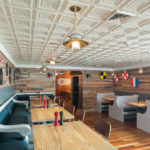 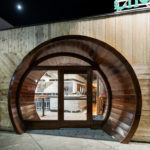 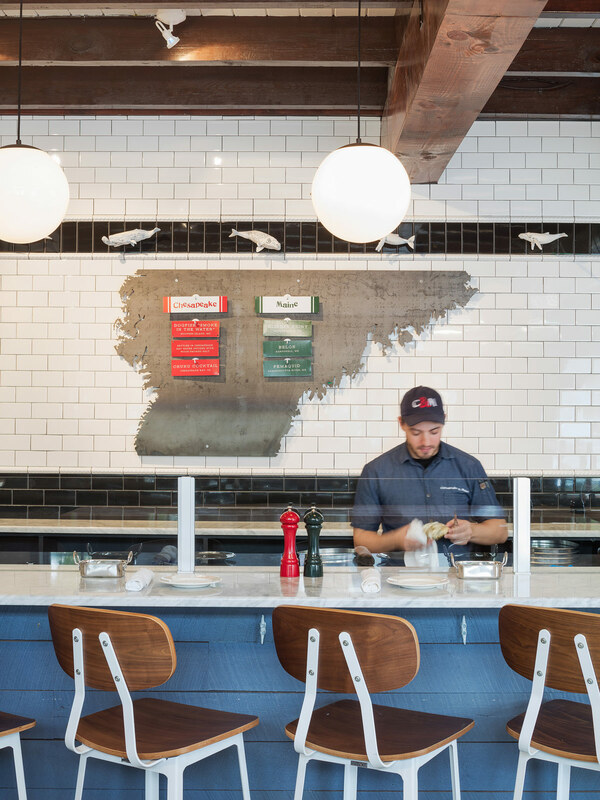 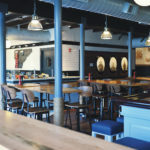 The interior was designed by Otto Architects of Pennsylvania, in collaboration with Dogfish Head founder and president Sam Calagione and his wife, vice president Mariah. 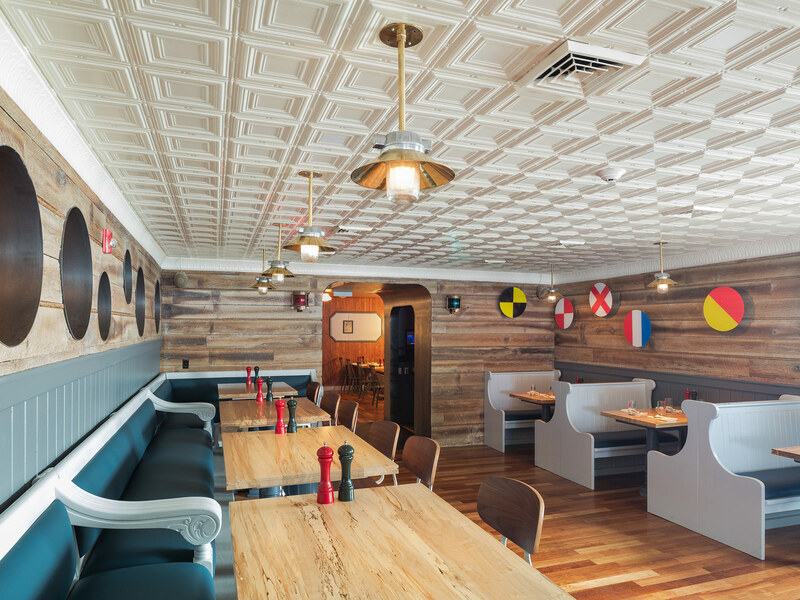 The first sign of whimsy is the front facade reminiscent of a lobster trap. 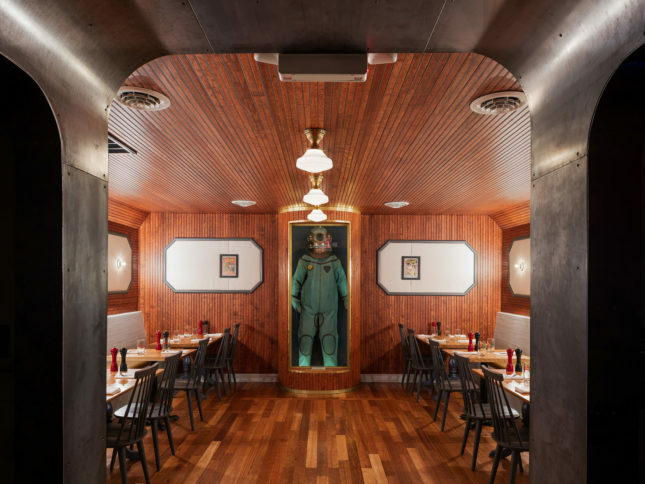 Inside, a vintage Russian diving suit in a glass case, porthole windows, shark-shaped beer tap handles, and boat cleat door knobs, continue the oceanic vibe.